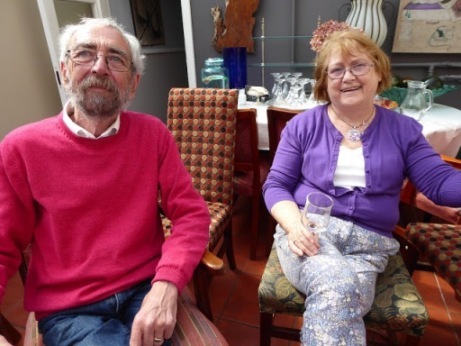 When I left you last month I was at the opening of Listowel Writers’ Week. I promised to fill you in this month. Well, the Kerry Group Irish Novel of the Year award, with a prize of €15,000 went to Paul Lynch for Grace. Adjudicators Jane Urquhart and Alex Preston chose it from a shortlist of five; Sally Rooney’s Conversations with Friends; Bernard MacLaverty’s Midwinter Break; Lisa Harding’s Harvesting; and Frank McGuinness’s The Woodcutter and His Family. 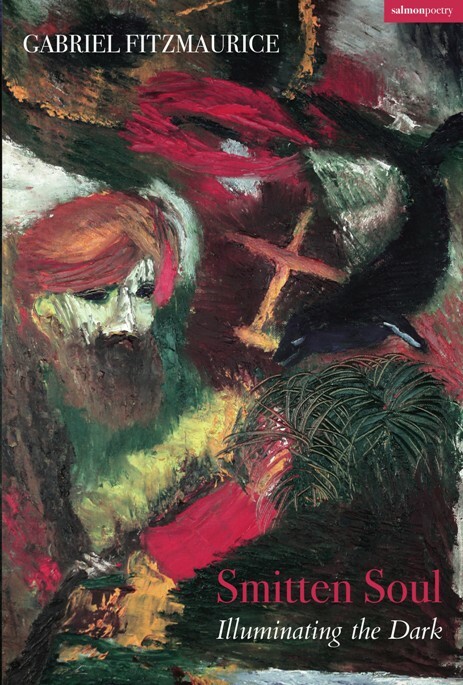 Charles Shafaieh, reviewing for The Irish Times, called it “haunting and poetic”. 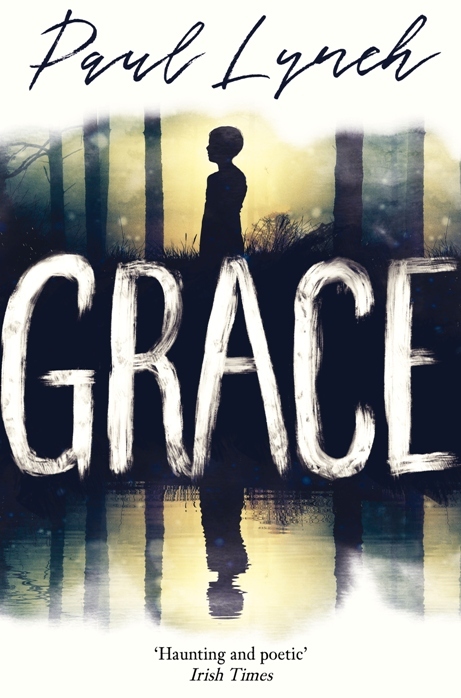 Grace, which was published in paperback by Oneworld on June 7th, was also shortlisted for the £25,000 Walter Scott Prize for Historical Fiction and the $5,000 William Saroyan International Prize for Writing. It was June’s Irish Times Book Club selected title. It was selected as the best book of the year 2017 by The Guardian and Esquire. Nobody who has read it would disagree with Emma Donoghue who described it as, “ A shuddering well written, dead-real, hallucinatory trip across Famine Ireland. Paul Lynch is also the author of Red Sky in the Morning and Black Snow. He won France’s Prix Libr’a Nous for best foreign novel and was a finalist for the \Prix du Meilleur Livre Etranger prize. He lives in Dublin with his wife and daughter. 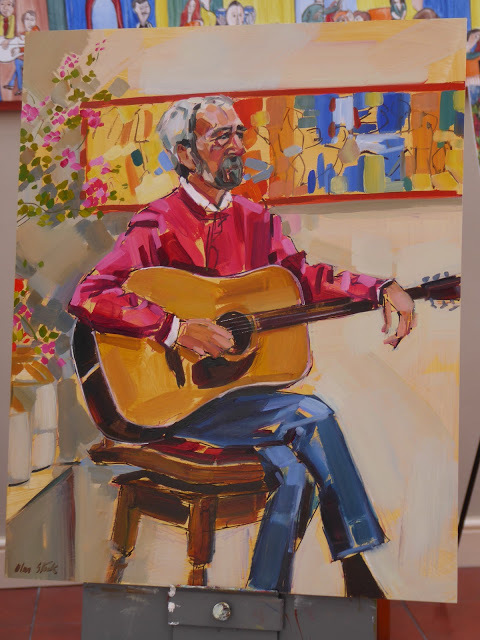 The cover artwork is from a collection of paintings by his wife Brenda. Smitten Soul is published by Salmon Poetry. The Morning Walk brought us by many Listowel shopfronts which feature the work of Pat McAulliffe. 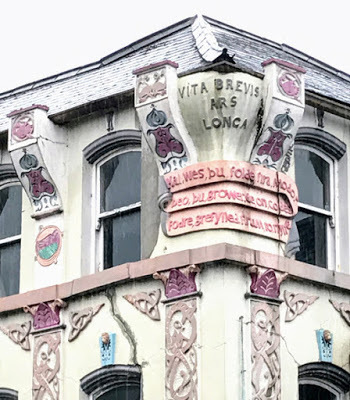 It is no exaggeration to describe the late Pat as the father of ormamental plasterwork in Ireland. He was and it is not possible to turn a corner in Listowel or any north Kerry town without coming face to face with his works of genius. Two of Clubs, The Good Father, Fruitcake, Ragman, My Left Nut, After Sarah Miles - Six plays that I attended during the festival; each one better than the next. I missed, through no fault of my own, two plays by John B. Keane, The Pure of Heart and Backwater. They were produced by Hy Breasal Theatre Company from County Kildare. 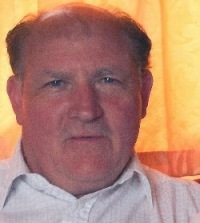 David Nihill is from Firhouse, County Dublin. Like 75% of the population he suffered from glossophobia, a fear of public speaking ( I once asked an after-dinner speaker for some advice, explaining that when I stood up to speak in public I didn’t know what to do with my hands. He said, “Did you ever think of putting them over your mouth?” ). David, when he went to America decided to try and do something about this fear. In his talk in Listowel he told us how he pretended to be an accomplished comedian called “Irish Dave" who just happened to be on tour in America for one full year. He crashed as many comedy clubs, festivals and shows as he could. In one year he went from being deathly afraid of public speaking to hosting a business conference, regularly performing stand-up comedy and winning storytelling competitions in front of packed houses. 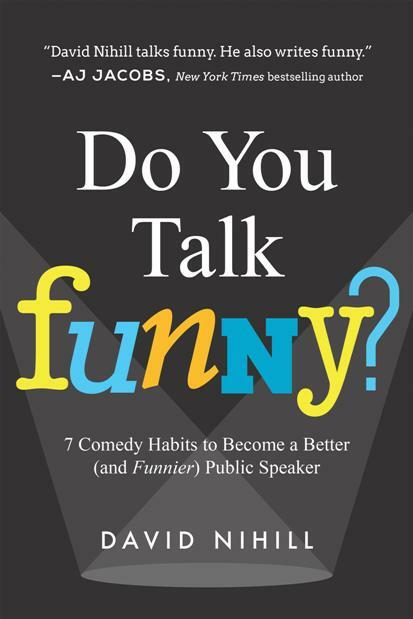 His Book “Do You Talk Funny?” will show us all how to do the same. 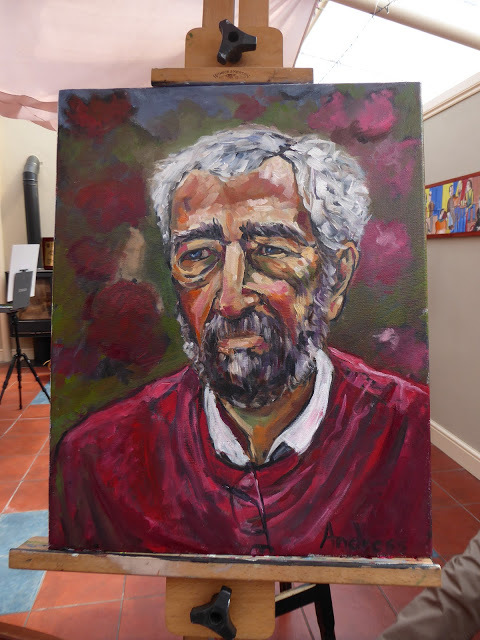 In Allo’s restaurant five visiting artists and Olive Stack each painted a portrait of the legendary Mickey MacConnell. I’m attaching pics of two when it was a work in progress. Mickey was allowed to choose one to take home. It would be unfair to tell you which one he chose. A long-standing tradition is ‘the healing and laying on of hands’ session which is held in John B. Keane’s on the Sunday of Writers Week’. Billy Keane says, “It started up as a hangover cure about 20 years ago. At that time the pubs weren’t allowed to open on Sunday afternoons, so it was done kind of surreptitiously in that we had to pull across the curtains. We were a bit like the ancient Christians hiding in the dark." It certainly isn’t held behind closed curtains now. It is the biggest open mic session in Ireland. Billy has witnessed , “ . . . people standing there with hands shaking, and then you hear five years later that they’ve won a poetry award. The whole idea is that everyone is equal and everyone gets a chance. 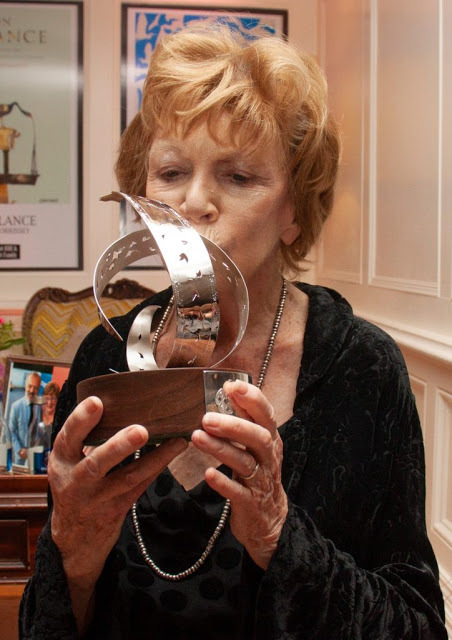 Poetry is given a special place as it’s probably the purest form of expression.” Billy Keane later met Prince Charles in Killarney and the Duchess of Cornwall gave him her card. So don’t be surprised if the 2019 Listowel Writers’ Week is opened by Camilla. And maybe she will attend the Healing Session. And in my hometown of Blessington the Ninette de Valois Festival of Dance is an exciting celebration of internationally renowned dancer, choreographer, poet and artist Dame Ninette de Valois who was born in Blessington in June 1898.This inaugural festival is a collaboration between Blessington & District Forum and Interpretive Artists Ireland and a seat is being unveiled in her honour.